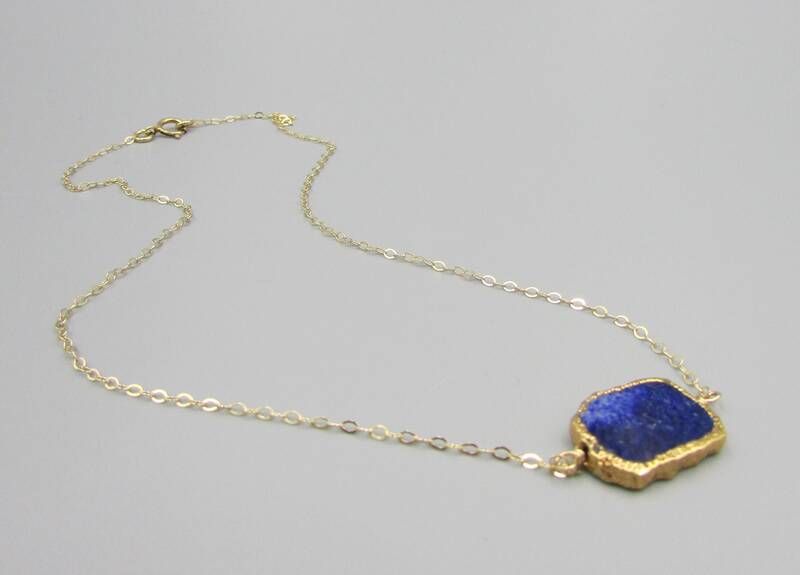 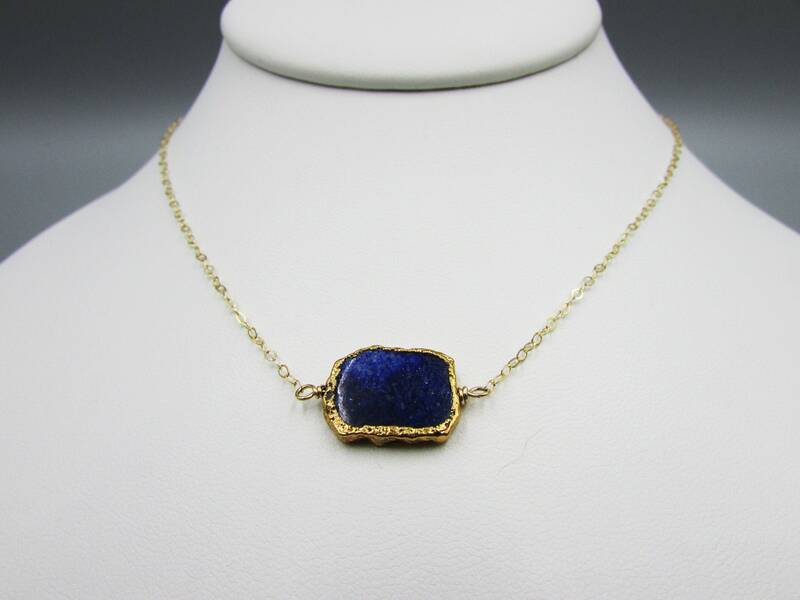 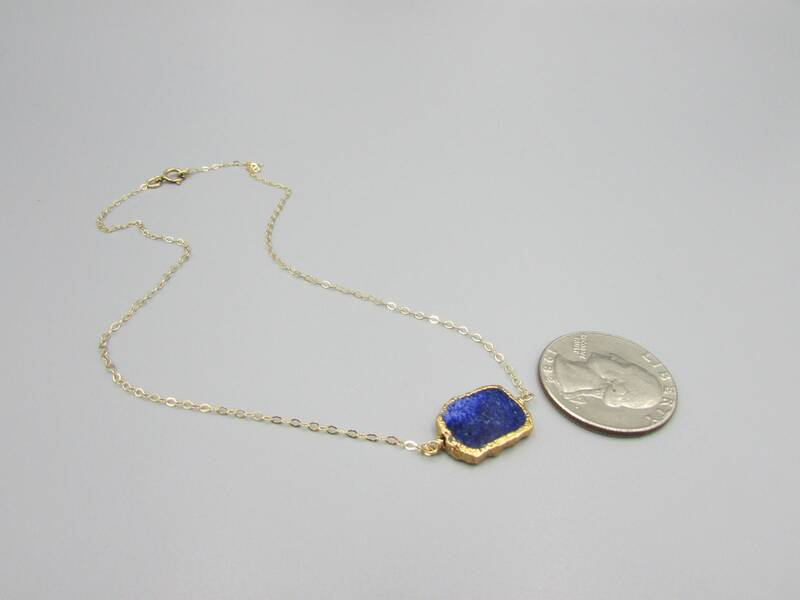 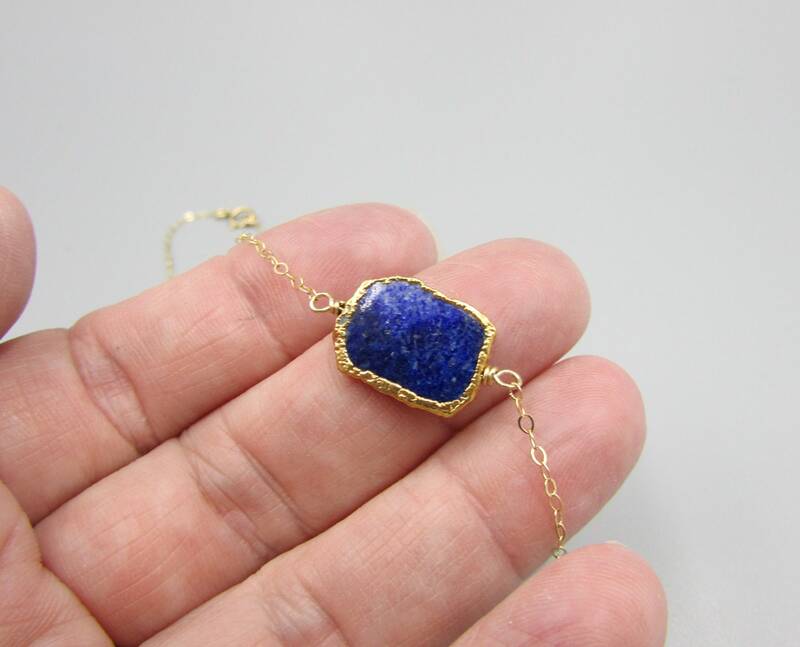 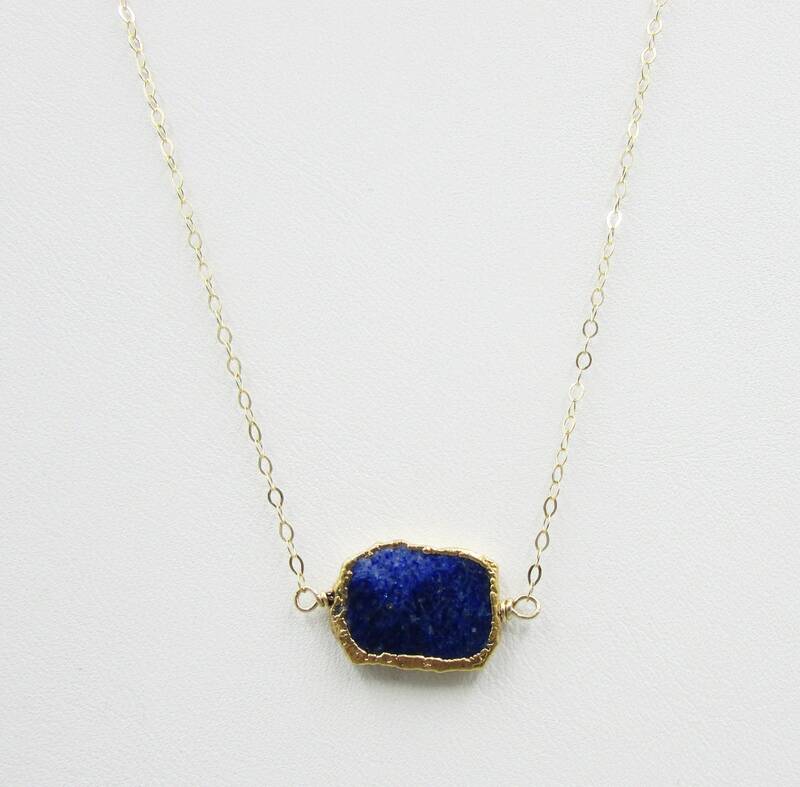 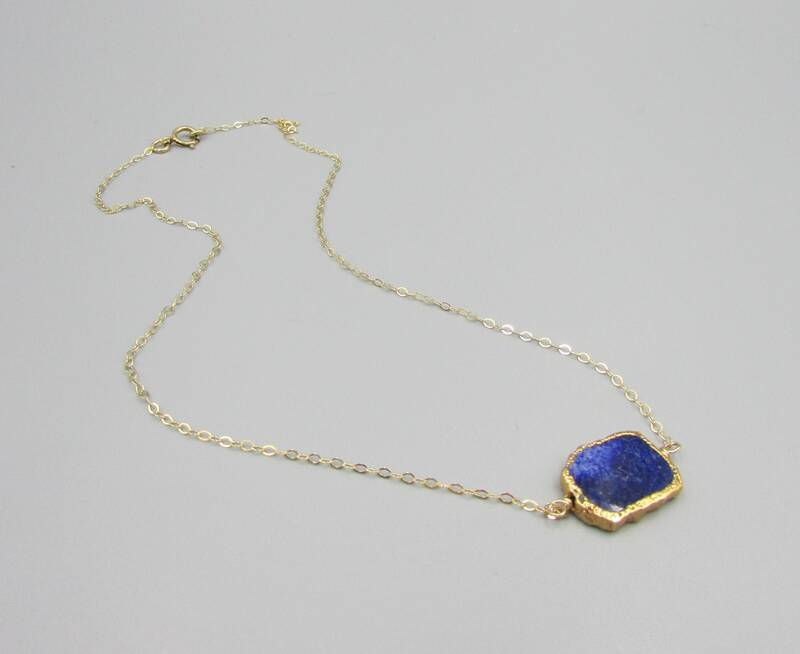 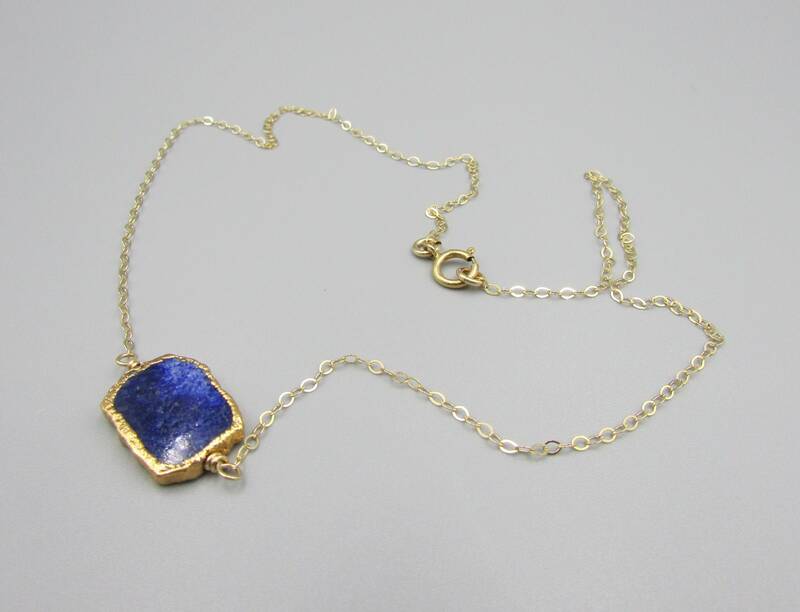 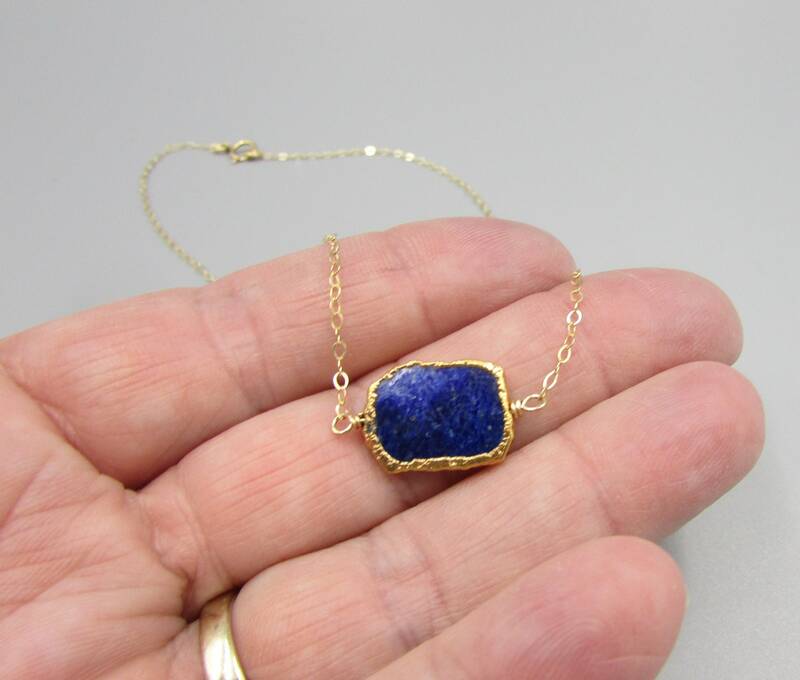 This simple Lapis collar necklace choker is made with 14K gold filled delicate chain with a beautiful gold encased lapis gemstone. 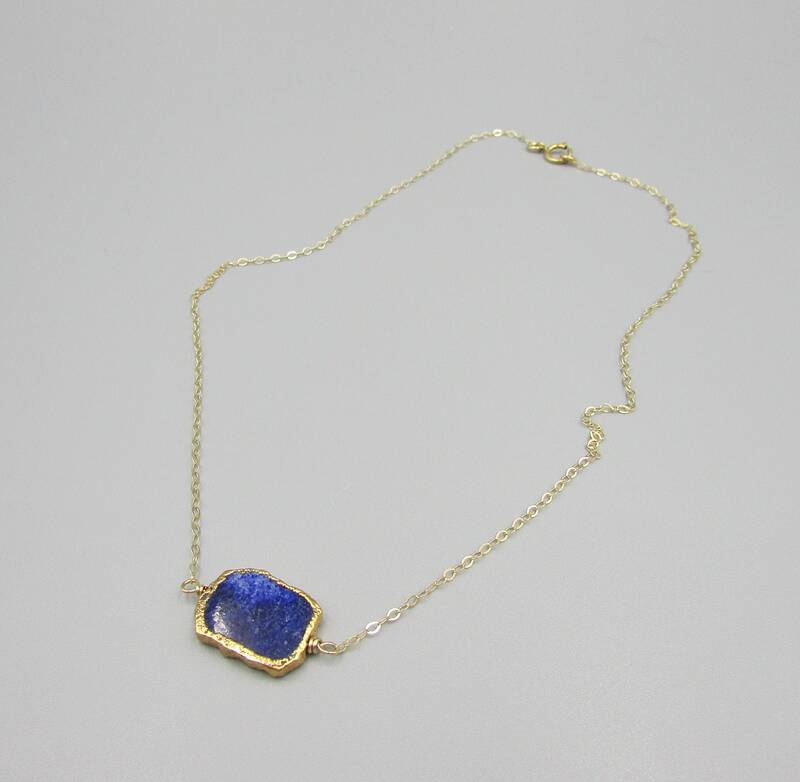 The length is 14 inches and fit snugly against the neck. 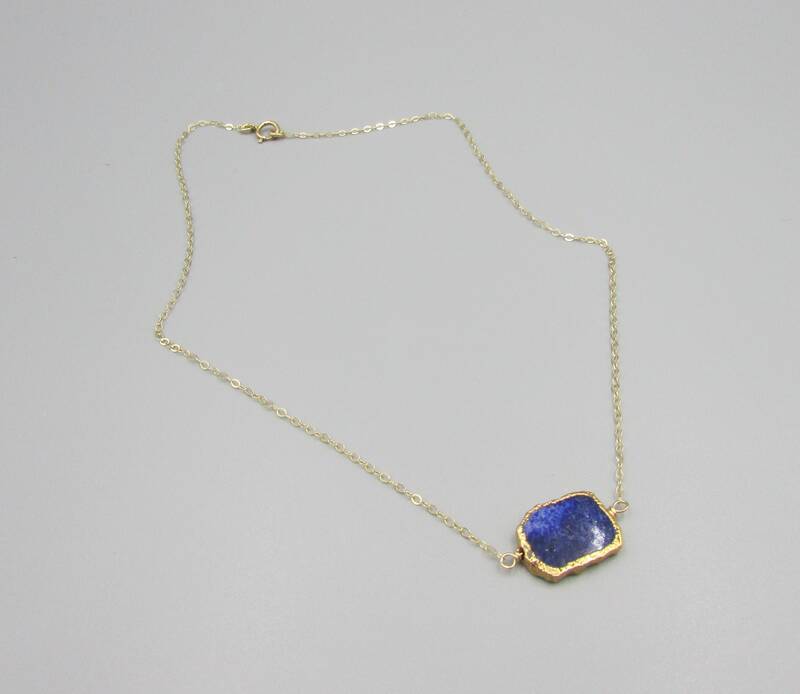 Very popular choker and in style this year.